Eco Friendly Houses - What Are They? 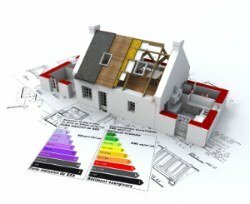 So what are eco friendly houses, what are the different types of green building construction techniques available to you today and what are the advantages and disadvantages of each? Modern eco friendly homes take many forms depending on your budget and your personal preferences regarding what consitiutes and eco home. minimising your carbon footprint by using locally sourced, natural products. Perhaps you may define an eco home as one that will produce the majority (or all) of the heat and power you and your family require. Or maybe you just want a super insulated home that will be cheap to run and keep your utility bills low. Whatever you expect from your eco home, you should be able to get the information you are looking for below. 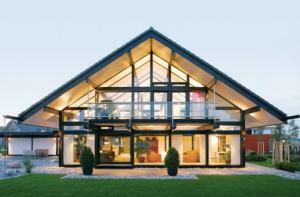 In this section I'll look at some of the more common types of construction used in modern eco friendly houses. Along with some of the less well known types. No matter what type of eco-home you'd like to ultimately live in, there are certain principles that you'll need to adhere to and I'll look at these here and in the articles below. I also explain why they're so important in my article on energy efficient home design principles. 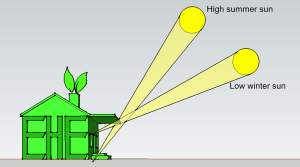 Passive Solar House: In my opinion this is the ultimate in eco house building. It works on the principle of building a super insulated home that uses the sun, you, and your appliances to generate heat and then holds onto it for as long as possible. I know it sounds too good to be true but it does work. However there are several aspects that need to be considered before opting for this method. Earth Sheltered Homes: These are homes that are protected by being dug into the side of a hill, buried or having earth piled up against their walls. They're warm all year round and have lots going for them. But there are downsides! 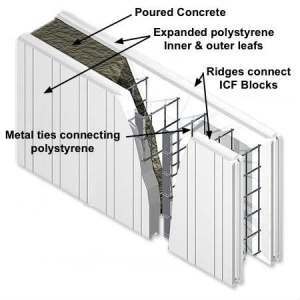 ICF Homes (or Insulated Concrete Form Homes): This is a relatively modern way of building a green home, where concrete is poured into pre-assembled polystyrene forms (or moulds). 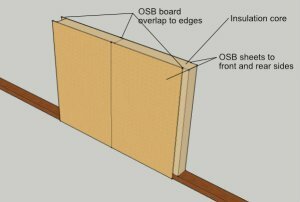 It has lots of benefits such as fast construction times and very good air tightness but it does also have some down sides. 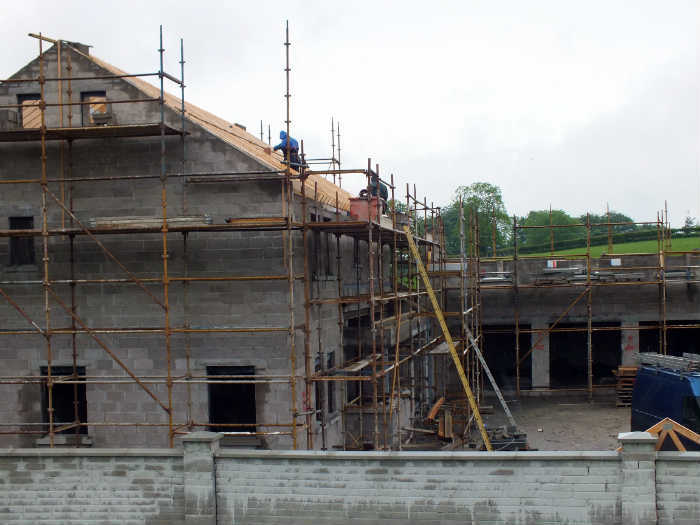 SIP (Structural Insulated Panel) Construction - this is the next step up the evolutionary scale from timber frame. But are it's unique properties right for your next home or extension. Straw Bale Homes: As the name suggests, these literally use straw bales to form the wall structure. The bales can be grown locally, thus reducing your carbon footprint. The initial cost saving may be appealing as long as you're also aware of the pitfalls. Container Houses: Some would argue that this type of construction is the ultimate in recycling as it involves converting large shipping containers (the same as the ones you see on the back of lorries and on ships) into eco friendly houses. But you might be surprised by my comments within the article. Don’t worry, you can insulate them and make them look less like containers. Zero Carbon Houses: This could apply to any type of construction as long as it generates as much energy as it uses annually. However to stand any sort of chance of achieving this it will need to meet certain eco building standards. 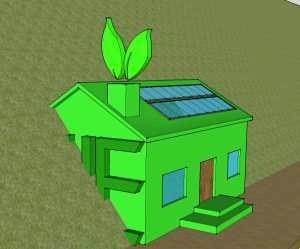 As you can see, an eco friendly home can be built using a variety of green construction methods. The examples above are just a few of my favourites and the beauty is you can mix and match many of the available green home building techniques to suit your requirements. 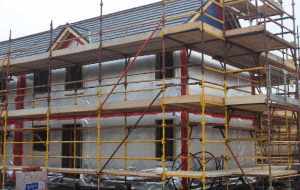 Regardless of what your eco requirements are and what size of carbon footprint you can tolerate there's an eco friendly house building technique out there that will fulfil your requirements. If you're not sure what's popular at the moments when it comes to building or renovating an eco-home here's the top 10 green building trends at the minute.